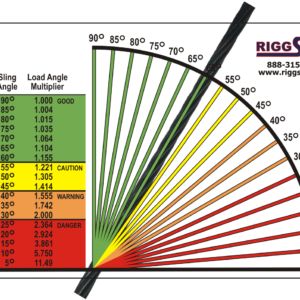 Mobile Crane Signal Reference Card (MCSC) – RiggSafe Solutions, Inc. 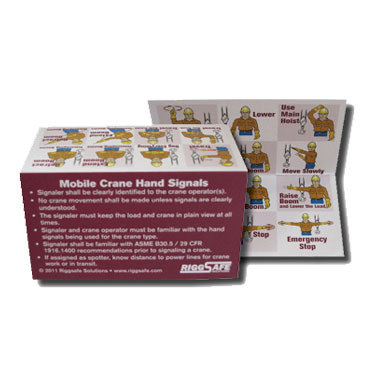 The Mobile Crane Signal Reference Card ® is a coated card clearly illustrating ASME B30.5 and OSHA 1926.1400 mobile crane hand signals. The 3.5” x 4” card folds into a credit card size easily fitting into a wallet. 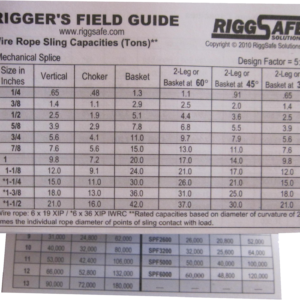 The card is sold in units of 10.